This report covers conditions and observations made between Monday, March 12 and Sunday, March 18, 2018. The next scheduled report will be posted on Monday, April 2, 2018. In the event of any significant occurrences prior to that date, this site will be updated as soon as possible. Wet weather dominated much of the week, bringing anywhere from .5” to over an inch of rain throughout most of the state. In the southernmost region, observers reported over 1.5” of rain. Isolated hailstorms were reported in a few areas of eastern Stanislaus County. 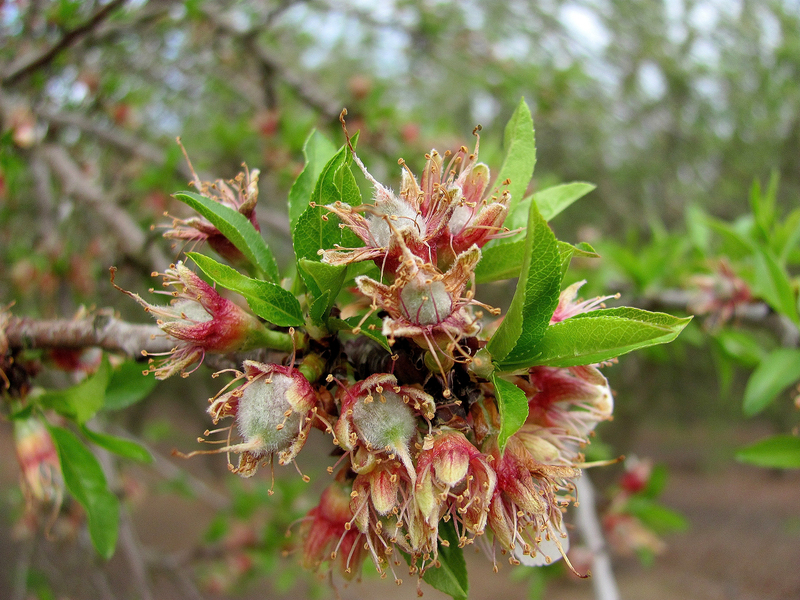 Between rain events, warmer temperatures helped accelerate nutlet development. 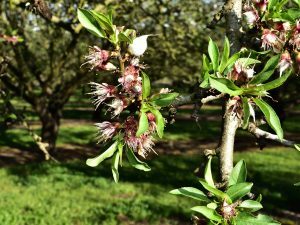 Nonpareil, Carmel, Monterey, and California type pollinizers all have nutlets emerging from their protective jackets while excess nutlets are being shed by the trees. 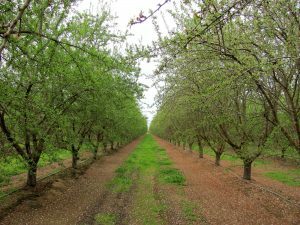 Typically, almond trees only hold about 20% of blooming flowers on a given year. 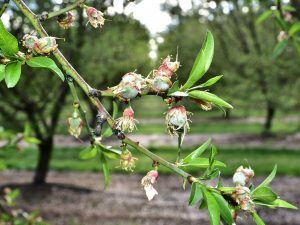 Observers are reporting several different sizes of nutlets maturing within orchards because of the prolonged bloom period. 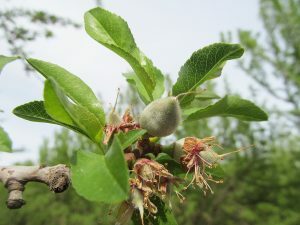 As nutlets continue to emerge and trees continue to drop excess nutlets, the extent of the frost damaged sustained three weeks ago will become more apparent. However, no reliable observations can be made until trees are done shedding excess nutlets. 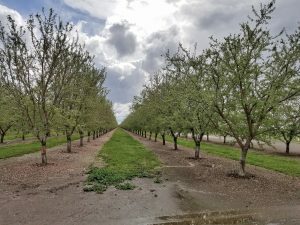 Many growers have begun applying fertilizer as leaves are starting grow and the trees are able to pick up the nitrogen. Growers have continued fungicide applications between storms and are preparing for more wet weather in the forecast. 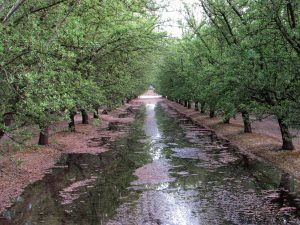 Wet weather has limited the need for growers to irrigate as the rain has provided plenty of water for the trees.